Experience gliding over the Sea Ice! Your direction for the day depends totally on the weather, which means every experience is unique. 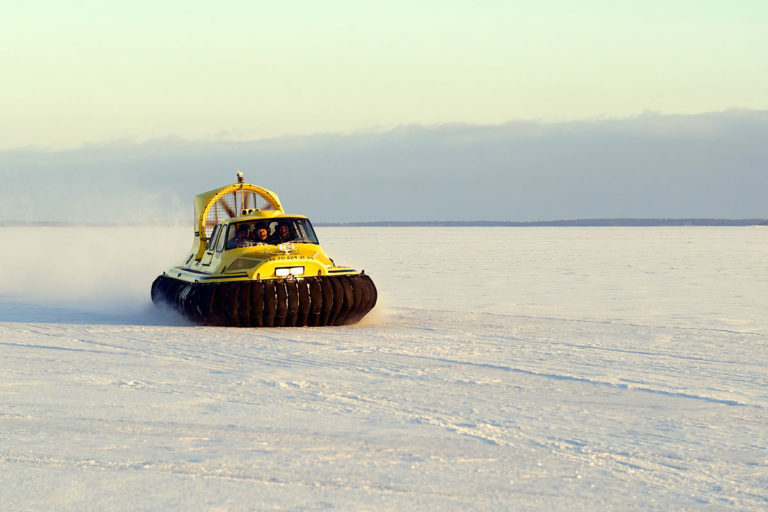 You’ll head out on a high speed adventure, and glide across the pack ice field and frozen water of the archipelago. Explore this frozen wonderland, with its towering icebergs and secluded settlements. 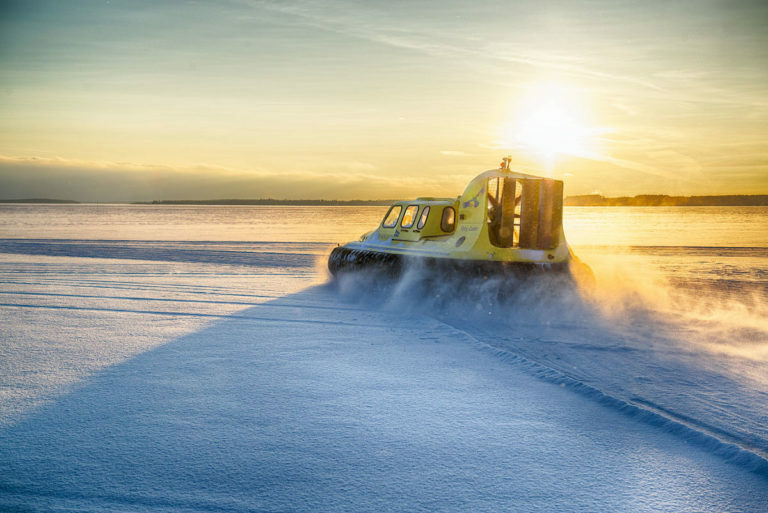 As the engines of the hovercraft are switched off, stand and appreciate the absolute silence. It’s easy to see why this is one of Off the Map Travel’s favourite places in the world. There’s lots of opportunities to take your photos, but don’t forget to put the screen down and just breathe in the fresh Arctic air!